A new research has shown that animal-assisted therapy can help deal with brain injuries in a better way. Animals especially dogs have long been known to have a positive influence on the health of the people who stay with them. 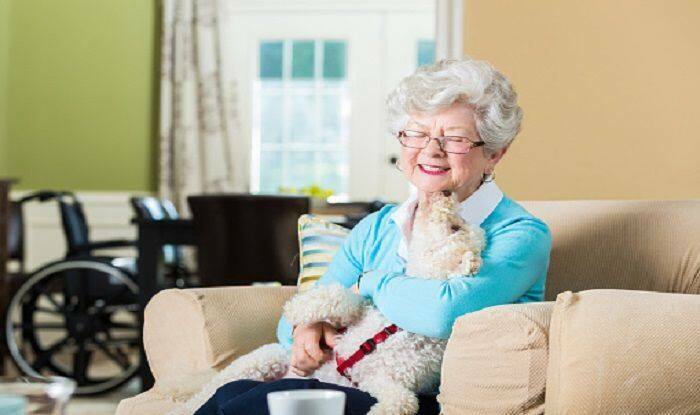 Various research studies have been conducted on the subject of how having pets can be beneficial to you. Now, a study talks about how animal-assisted therapy can have a positive effect on the social behaviour of patients with brain injuries, as reported in an article on www.sciencedaily.com. The article based on the study published in the journal Scientific Reports quotes the study of Dr. Karin Hediger from the University of Basel in Switzerland saying that ‘animals can be relevant therapeutic partners, because they motivate patients to care for the animal and that animals encourage patients to actively engage in the therapeutic activities which will be of immense help in the conventional neurorehabilitation of such patients. Cancer screening: Animals can come to the rescue of humans in many other ways. A recent study talked about how dogs can use its highly evolved sense of smell to pick out blood samples from people with cancer with almost 97 per cent accuracy, a finding that can make cancer screener easier and cheaper. Dogs have smell receptors 10,000 times more accurate than humans’, making them highly sensitive to odours we cannot perceive. Attention Deficit Hyperactivity Disorder (ADHD): An American study showed that children with ADHD who received canine assisted intervention (CAI) experienced a reduction in inattention and an improvement in social skills. The study, published in the Human-Animal Interaction Bulletin (HAIB), shows that therapy dogs enhances traditional psychosocial intervention and is feasible and safe to implement. Less stress: Various studies have shown how owning cats can make you less psychologically stressed, happier, more confident, less nervous, more focused. It can also keep your heart healthy and reduce your chances of heart attacks. Benefits during pregnancy: A study said that having a dog during pregnancy may give your babies protection from allergic eczema and asthma as a mother’s exposure to dogs before the birth of a child is significantly associated with lower risk of eczema by age two years. Further, it may also provide a protective effect against asthma, even in children allergic to dogs, the researchers said. Helpful during exams: Therapy dogs can have a positive effect on the wellbeing of students and help them reduce stress and feelings of negativity said a research from the University of British Columbia in Canada.